Are you running an event with people attending, competitiors and/or public? Or do you already have medical personnel or first aiders organised but need another Medic, or more qualified, for an event? Is there an element of risk at your event , for example, motorsport, equestrian, bouncy castles, sports such as athletics, football etc. 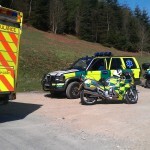 Have you considered emergency medical and first aid for your event? Can your event run without it? Events that are organised with numbers of people attending have to provide First Aid cover. This is one of the most important aspect of any organised event. Sadly it is also the part that is often forgotten about! The First Aid is important for the Safety of both the General Public and those taking part and is the responsibility of the Event or Venue Manager. This is required by Health and Safety Executive and Law. 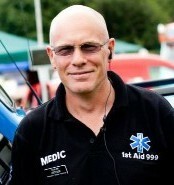 Although based in Nottinghamshire, I can help cover an event anywhere in the UK and occasionally abroad.